Got you this set for whatever you want them for, as for your other present, I'm making it myself, but its gonna take some more time. It will be worth the wait however, I'll tell you that. It's a link in case you don't notice. Happy Birthday Darkjay, may your next years be more rejoiceful. Yea, Happy Birthday buddy. 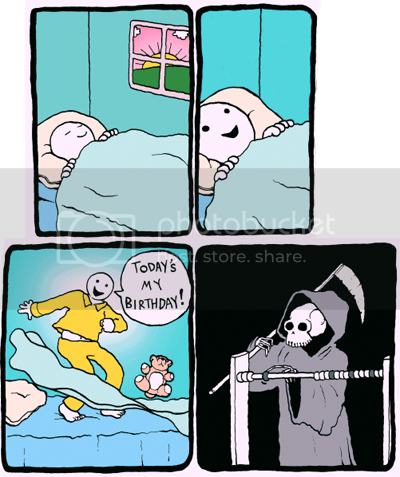 One year closer to death! But hey, also one year closer to Diablo 3 right? Rejoice brother! Winston - that was hilarious, nice find! You are now my lover; forever and ever. Amen. Sorry Darkjay sire, wasn't here. Happy Bday Zubin! Hope you get as hammered as I'm about to get. Lol.